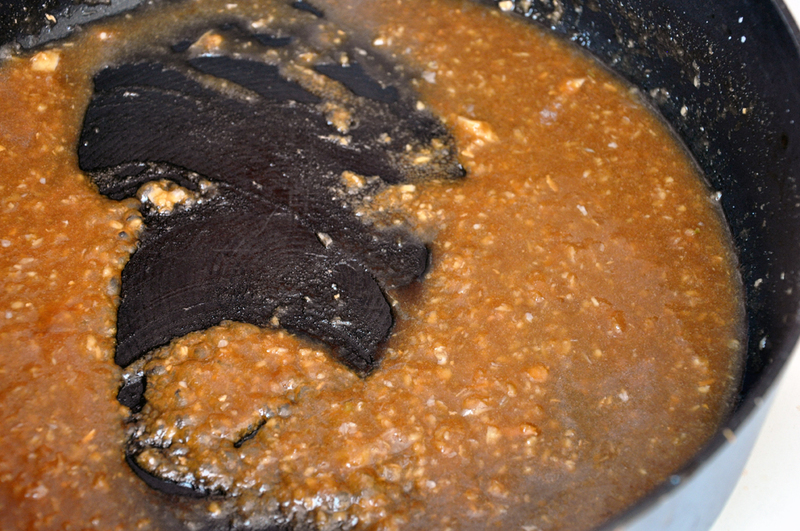 In a small pan, heat 3 tsp sesame oil and the brown sugar over medium-high heat. Add rhubarb and cook, stirring constantly, for 2-3 minutes until lightly browned being careful not to overcook them or they will fall apart. Remove from pan and set aside. 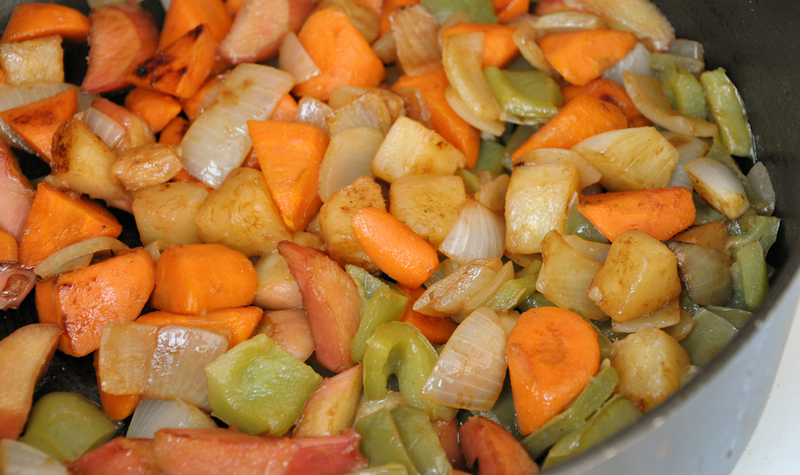 Then add green pepper, onion, carrot, and pineapple chunks to the pan. 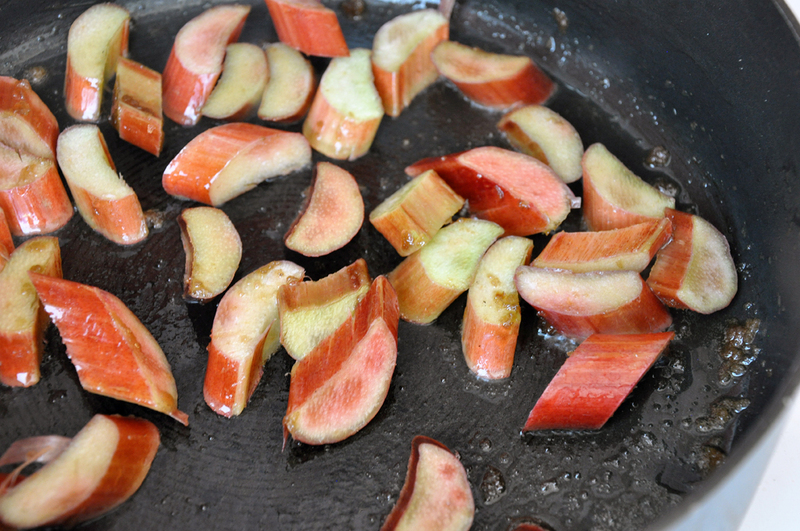 Stir 3-5 minutes until lightly browned and add to rhubarb. Turn the heat to med-low and ddd remaining tsp sesame oil to the pan. Add garlic and ginger and sauté 1 min. Add plum sauce, soy sauce and pineapple juice and mix well. Add rice flour liquid and stir until slightly thickened, about 1-2 minutes. Add veggies back to the pan along with two chopped scallions. 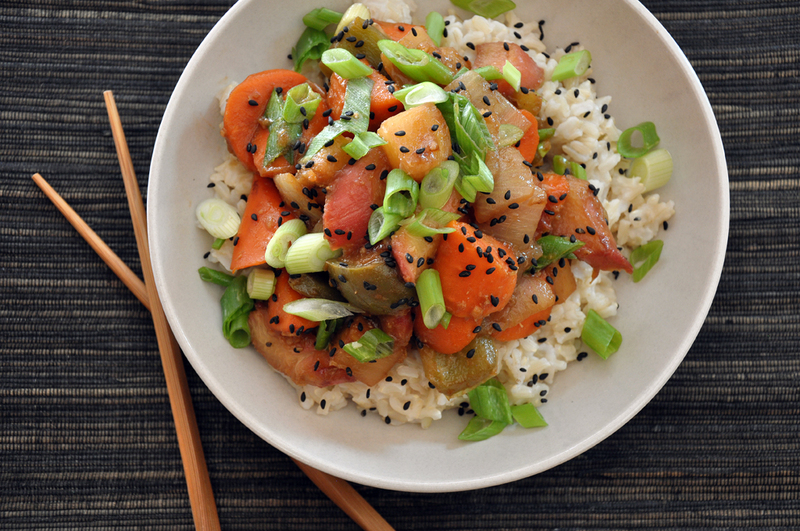 Serve plain or over brown rice and garnish with remaining scallion and sesame seeds. I’m at the risk of repeating myself here, but this sounds delicious and makes me hungry!